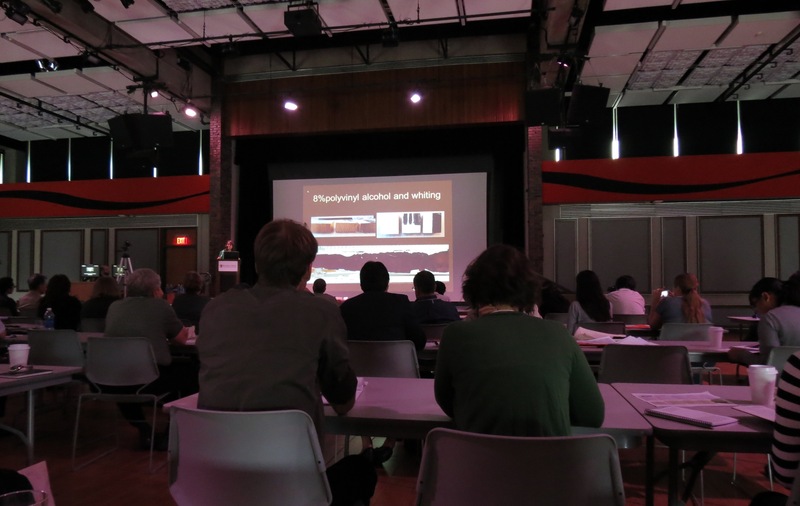 Buffalo State College recently hosted the Asian Lacquer Symposium, a week-long gathering of a wide range of experts on Asian lacquer. 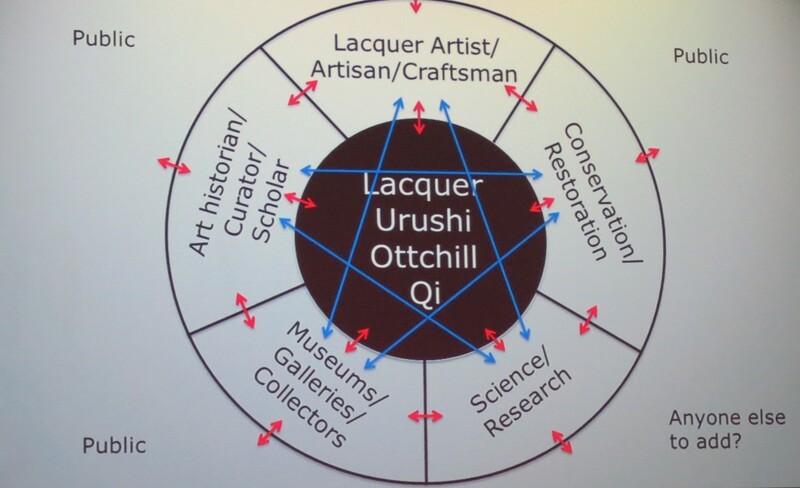 From May 20-24, we met to listen to and discuss work being undertaken on Asian lacquer. Participants included lacquer artists, conservators, art historians, curators, scientists and many more who travelled from all over Asia, Europe and North America. This allowed for a broad representation of different ideas by bringing together people working in different fields, who nevertheless all shared one thing in common: a passion for lacquer. The range of papers presented were of excellent quality, while coffee and lunch breaks gave us plenty of opportunities to examine the posters on show, and to catch up with colleagues. Afternoon workshops were organised which allowed us to gain a more in-depth understanding of some of the traditional Korean and Japanese lacquer techniques. The instructors were true masters at their craft, and patiently answered our questions. The symposium coincided with an exhibition of lacquer art which highlighted the skills of some of the instructors as well as their students. The true highlight of the conference was the multi-cultural nature of the gathering and all encompassing nature of the participants, representing all the different approaches to Asian lacquer. One slide in particular captured this very well, as is shown in the photo here.